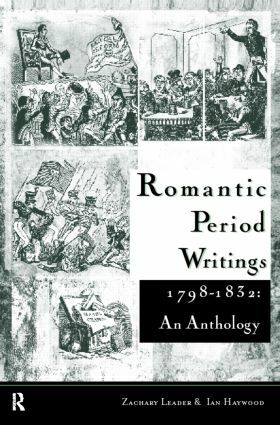 Romantic Period Writings 1798-1832 provides a valuable insight into the condition of Britain in the early part of the nineteenth century. It includes original documents from a range of disciplines and discourses. Each section includes a scholarly introduction, select bibliography, and annotations. Ian Haywood, John Seed, Martin Priestman, Simon Edwards, Kate Teltsher, Susan Matthews, Catherine Boyle and Zachary Leader.